In some ancient cultures, it was customary for travelers to leave home carrying a small plant. The message was: “Don’t ever forget where you came from. Always stay rooted.” Building on this eternal truth, The 5Rhythms® offer us a way to find freedom through rootedness. 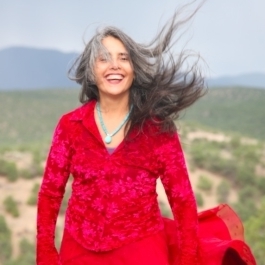 Drawing upon Shamanic and Sufi sacred traditions, the rhythms are a powerful and deceptively simple way to transform ourselves into the fullest embodiment and manifestation of our essential selves. What are your roots? How can we reconnect with our roots and bring ourselves back home again? The 5Rhythms® of flow, staccato, chaos, lyrical and stillness are the roots of this practice, and by deepening these roots we will cultivate greater awareness by listening to, moving our bodies, and expanding our body vocabulary. These roots offer us access to the infinite source of wisdom within, thus strengthening our own sense of freedom and homecoming.